My new nickname. I think I’ve earned it. Autumn is setting in and I’ve been getting ready for the next growing season. This has entailed a great deal of gardening activity where I have had to go thrashing about in the jungle of weeds and turning the sod to make growing spaces. I had made two patches last spring. They aren’t huge but I managed to get a good crop of potatoes and tobacco, some garden herbs, which were planted by my wife, and a few wild artichokes and some rhubarb. Next year I’m going to expand the operation, so I have had to make a new patch. One is 144 sq. feet, one of 80 sq. feet and the newest at 110 sq. feet. I think I’ll get what I need from that. The summer has been awful though. Very wet. In fact, the wettest summer I can remember. We had twice the normal rainfall for every summer month. The soil is still soaked. It never dried out this year which means the worms have suffered. Luckily, I started a compost heap and they appear to have sought refuge there. I had to fell the old tree that grew up the side of the house. It had gotten to be too big and was hammering the life out of the gable on the west end of my house. Every time the wind blew, we could hear the tree pounding into the brickwork. I now have a neat pile of new firewood instead. I have one more tree to get rid of though. A big multi trunked poplar right in the middle of the garden. It too has outgrown its place on the lawn. More firewood. And the space it gives me will do just nicely for the planned greenhouse. Oh yes. I want tomatoes and cucumbers and stuff. And exotic fruit if I can grow it… We’ll see. I cleared up in the shed too. And put a new roof on it. Now there’s room for all my tools and firewood, boxes, plant pots, sacks of potting soil and my dried tobacco. The mice had moved in under the stacked firewood. I don’t mind. They eat all sorts of bugs so they’re welcome to hibernate there, or whatever it is they do in the winter, along with the hedgehog. Yep. 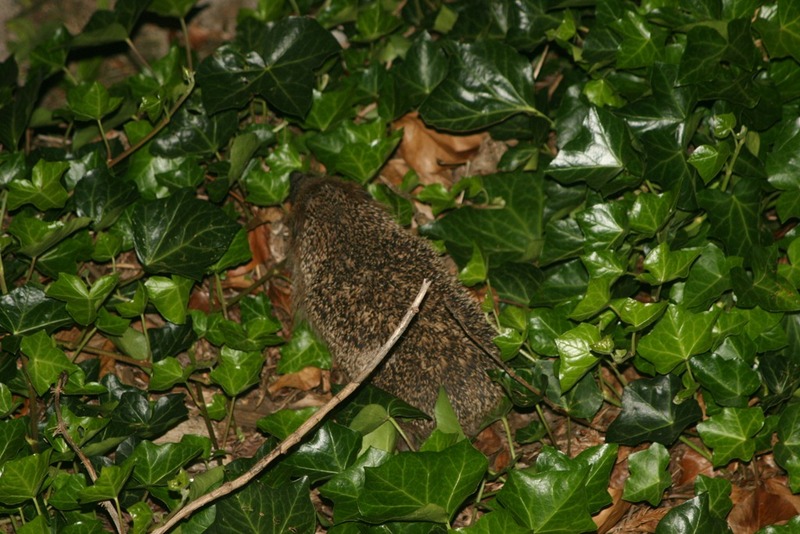 I have a hedgehog in my garden. He eats slugs and other unwanted creepy crawlies. I hope he stays. Even if he does eat the odd worm or two. So I guess I’m about ready for the winter now. All the hard work is done, the earth is clean and dug through so the frost can break it up. The garden rubbish and old stems and so on are all buried beneath the ground, molding away to make new earth. I hope I’ve mowed the bloody lawn for the last time this year and I flatly refuse to clip the hedge again. Now, how long was it till Christmas? Our New Government.. A New Theme Tune. It really pissed me off when, at their election victory party, the Social Democrats played one of my favourite songs. “At last”. I suppose meaning, that they had ‘at last’ gained enough power to form a government. And what a sorry collection of lying toads they are. Pretty much everything they promised before the election is suddenly impossible to deliver. Apart from easing off on the immigration policy. That will be done almost instantaneously. Otherwise, the people that believed them and voted for them and to whom they promised the world, are all feeling pretty dejected and cheated now. Well, we tried to tell ‘em.. But it’s that song that still irritates me. So when I heard this the other day; I Youtubed it immediately.. The lyrics are great.. look at the lines I highlighted as you read it through. Says it all..
Well it’s what you do, it’s who you are.